* Senior club appearances and goals counted for the domestic league only and correct as of 15:07 1 December 2016 (UTC). Thomas Henry Alex "Hal" Robson-Kanu (born 21 May 1989) is a professional footballer who plays as a striker for West Bromwich Albion and the Wales national football team. Although he initially played primarily on the wing, he has also been used as a forward, including Wales' run to the semi-finals of UEFA Euro 2016. Robson-Kanu started his career as a schoolboy at Arsenal but was released at 15 and joined Reading. After graduating from the Academy in 2007 he spent time on loan at Southend United and Swindon Town before returning to Reading and making his first team debut in 2009. Limited to mainly substitute appearances during his first season, he became an important member of the squad appearing regularly during the 2011–12 Championship winning campaign. He made his Premier League debut in 2012 and went on to score 30 goals in 228 games for the club before his release in 2016. He then signed for West Bromwich Albion. At international level Robson-Kanu initially represented the country of his birth, England, at under-19 and under-20 level. In 2010 he switched allegiance to Wales, the country of his grandmother, playing for the under-21 side before his debut for the senior team against Croatia on 23 May that year. Robson-Kanu was selected to represent Wales at UEFA Euro 2016, where they made the semi-finals. Born in Acton, London, Robson-Kanu began his career at Arsenal as a schoolboy aged 10. He was released by the club at 15 and joined Reading after speaking to then Academy manager Brendan Rodgers. After graduating from the Academy he signed his first professional contract in July 2007, penning a two-year deal with the club. The 2007 Peace Cup in South Korea saw Robson-Kanu involved with the Reading senior team for the first time with appearances against River Plate and Shimizu S-Pulse. Steve Coppell's policy of resting first-team players for cup matches saw Robson-Kanu selected on the bench for the first time on 5 January 2008 for the FA Cup third round tie against Tottenham Hotspur, though he remained an unused substitute. Not in contention for a regular place in the Reading first team, Robson-Kanu's first experience of senior football came on 30 January 2008 when he joined Southend United on loan until the end of the season. He made his debut three days later as a second-half substitute in a 2–2 draw away at Leyton Orient and scored his first career goal against Nottingham Forest. He struck twice more in the next two games against Huddersfield Town and Swansea City and returned to Reading with three goals in eight appearances. Robson-Kanu was again involved in the first team during the 2008–09 pre-season, scoring a goal in a 9–0 win over Didcot Town in July. He re-joined Southend on a month's loan on 21 August 2008 and after one goal in six appearances extended his spell for a second month. He returned to Reading on 15 November after his three-month spell came to an end having made 15 appearances, scoring twice, during his second spell at the club. After returning to Reading he was among the substitutes for the FA Cup third round tie against Cardiff City on 3 January 2009. He would again have to wait to make his debut though, remaining on the bench as Cardiff won the match. On 26 January 2009 he joined Swindon Town on a one-month loan which, after six games, was extended for a further month. Midway through his spell at Swindon, having impressed on loan at the club as well with Southend previously, he signed a new contract with Reading until 2011. He cemented a regular place in the Swindon team and started in all 20 of his appearances for the club before returning to Reading after three months. At the conclusion of his spell Swindon boss Danny Wilson hailed Robson-Kanu and fellow loanee Gordon Greer for their "fantastic impression" which helped the club pull away from relegation. The 2009–10 season saw Robson-Kanu's former Academy boss Brendan Rodgers take over as Reading manager. He scored five goals during pre-season, including a hat-trick against Jonsereds IF in just 28 minutes during the first game of the tour of Sweden. Robson-Kanu finally made his competitive debut for Reading starting on the right wing in a 0–0 draw with Nottingham Forest on the opening day of the season. He was used mainly as a substitute during his first season, starting just four times in 18 appearances. The following season saw Robson-Kanu establish himself in the first team setup. He scored his first Reading goal in the League Cup against Northampton Town on 24 August 2010, and followed it with his first league goal in a 3–0 win against Barnsley a month later, having earlier set-up Jimmy Kébé for the second. He continued to feature regularly and finished the season in good goalscoring form, netting four times from March onwards including the winner in a 2–1 wins over Preston North End and Derby County as Reading finished in the play-off positions. He came on as a late substitute in the 4–2 play-off final defeat to Swansea but had no time to influence the game and finished the season with six goals in 34 appearances. His contract expired at the end of the season and despite interest from other Championship clubs including Millwall and Portsmouth, he signed a new three-year contract with Reading in July keeping him with the club until 2014. After the sale of Shane Long in August 2011, Robson-Kanu was played as a forward by Brian McDermott during some of the pre-season, a position he was familiar with from his Academy years. He struck twice playing up front in the warm-up fixtures and began the season in good goalscoring form with two in the first four games against Leicester City and Barnsley. With injuries to both Kebe and Jobi McAnuff during various points of the season, he soon reverted to a role on the wings though his season followed a familiar pattern to previous years as he was in and out the side, playing a supporting role to the two senior wingers. His longest run of starts came in October when he was named on the teamsheet for six consecutive games. He scored twice more during the campaign, including a spectacular volley against Millwall and finished the season having made 37 appearances, the most in his career to date. In Kébé, McAnuff and new signing Garath McCleary, Robson-Kanu faced stiff competition for places on the wing for Reading's return to the Premier League. With Kébé injured, he was named on the teamsheet on the opening day of the season as Reading came from behind to draw against Stoke City. Limited to a substitutes role over the next three months, he still managed to score twice, in a defeat to Tottenham Hotspur and a 3–3 draw with Fulham. His only two starts came in the League cup, including the 7–5 defeat to Arsenal in October. He had to wait until 17 November for his next league start in Reading's 2–1 win over Everton, their first league victory of the season, and was a regular over the next month, scoring his third goal of the season in the defeat to Manchester United. Despite his goals, Robson-Kanu again had to settle for a place on the bench with two FA Cup matches his only starts for the club between December and March. He scored a late consolation goal coming on as a substitute against Everton on 2 March and returned to the lineup for the following game against Aston Villa. The game against Villa proved to be Brian McDermott's last in charge and Robson-Kanu, having played only a bit-part role under the former manager, began to feature more prominently with the appointment of Nigel Adkins. He missed just two games under Adkins through a freak knee injury, and with a regular berth on the wing finished the season strongly, scoring against Arsenal, and twice in Reading's 4–2 win over Fulham. Having enjoyed his most prolific season yet, scoring seven times, Robson-Kanu was nominated for Reading Player of the Season. In a fans vote he finished in third place behind Adam le Fondre and Alex McCarthy, despite all three players starting 13 or fewer league games all season. He signed a new contract in July 2013, keeping him with Reading until June 2016. Reading announced on 9 May 2016, that Robson-Kanu would leave Reading when his contract expired at the end of June 2016. On 31 August after reportedly turning down "significant offers" from Asia, Robson-Kanu signed a two-year contract, with the option of a third year, with Premier League side West Bromwich Albion. Robson-Kanu initially represented England, the country of his birth, at international level, making his debut for the under-19 side against Germany in November 2007. He made a second appearance against Croatia the following year before winning one cap for the England under-20s against Montenegro in 2009. In 2010 he switched to Wales, for which he qualifies through his Caerphilly-born grandmother. The switch came about when Welsh coach Brian Flynn came to the Reading training ground to see Simon Church, and Glen Little jested that Robson-Kanu would be eligible for Wales through going on holiday there. Robson-Kanu told Flynn that the family went to Tenby via picking up his grandmother in Caerphilly, and Flynn asked whether she was born in Wales. He was first selected in the Wales under-21s squad for the friendly against Austria on 18 May 2010 and made his debut in a 1–0 defeat. Robson-Kanu's first cap for the senior team came just five days later, coming on as a second-half substitute for Robert Earnshaw in a 2–0 loss to Croatia. He continued to play for the under-21's after his senior debut and made a further three appearances, scoring twice, with his last appearance coming in a defeat to Italy which ended Wales hopes of qualifying for the European Under-21 Football Championships. He scored his first senior international goal on 22 March 2013 in a 2–1 World Cup qualifying win over Scotland at Hampden Park. Robson-Kanu played nine games in Wales' successful qualification campaign for UEFA Euro 2016, scoring on 13 October 2014 in their 2–1 home win over Cyprus. After being selected for the final tournament in France, on 11 June he came on as a 71st-minute substitute in place of Jonny Williams during their opener against Slovakia and scored the winner in a 2–1 victory in Bordeaux. He also started as striker in Wales' historic 3–1 quarter-final win on 1 July against Belgium in Lille and, after outwitting three defenders with a Cruyff turn, scored the team's second goal. It was nominated in the FIFA Puskás Award for best goal of the year. As of match played 7 May 2016. As of match played 1 July 2016. Wales score listed first, score column indicates score after each Robson-Kanu goal. ↑ "List of Players under Written Contract Registered Between 01/07/2011 and 31/07/2011" (PDF). The Football Association. Retrieved 7 February 2012. 1 2 Hugman, Barry J., ed. (2010). The PFA Footballers' Who's Who 2010–11. Mainstream Publishing. p. 358. ISBN 978-1-84596-601-0. ↑ "Player profile". Premier League. Retrieved 6 May 2013. ↑ Rai, Rajvir (30 October 2012). "Robson-Kanu relishing Arsenal reunion after winging his way back to the top with Reading". Daily Mail. Retrieved 23 March 2013. ↑ "Royals make six Academy signings". Reading F.C. Archived from the original on 11 July 2007. Retrieved 27 March 2013. ↑ "Royals lose in Suwon". Get Reading. 13 July 2007. Retrieved 27 March 2013. ↑ "Royals 1–0 Shimizu S-Pulse (in Goyang, South Korea)". Get Reading. 20 July 2007. Retrieved 27 March 2013. ↑ "Tottenham 2–2 Reading". BBC Sport. Retrieved 27 March 2013. ↑ "Robson-Kanu seals loan move". Reading F.C. Archived from the original on 17 February 2012. Retrieved 23 March 2013. ↑ "Leyton Orient 2–2 Southend". BBC Sport. Retrieved 27 March 2013. ↑ "Southend 1–1 Nottingham Forest". BBC Sport. Retrieved 27 March 2013. ↑ "Games played by Hal Robson-Kanu in 2007–08". Soccerbase. Retrieved 27 March 2013. ↑ Gillett, Stephen (14 July 2008). "Didcot Town 0–9 Reading". Get Reading. Retrieved 27 March 2013. ↑ "Robson-Kanu returns to Southend". BBC Sport. 21 August 2008. Retrieved 21 May 2010. ↑ "Southend extend Robson-Kanu loan". BBC Sport. Retrieved 27 March 2013. ↑ "Southend eager to retain Sawyer". BBC Sport. Retrieved 27 March 2013. 1 2 "Games played by Hal Robson-Kanu in 2008–09". Soccerbase. Retrieved 27 March 2013. ↑ "Cardiff 2–0 Reading". BBC Sport. Retrieved 27 March 2013. ↑ "Robson-Kanu happy to join Swindon". BBC Sport. Retrieved 23 March 2013. ↑ "Robson-Kanu agrees Swindon deal". BBC Sport. Retrieved 23 March 2013. ↑ "New deal for Royals winger". Sky Sports. Retrieved 28 March 2013. ↑ Marshall, Anthony (25 April 2009). "Boss hails loan duo as spells come to an end". Advertiser. Swindon. Retrieved 28 March 2013. ↑ Fordham, Jonny (29 July 2009). "Robson-Kanu stakes his claim for Reading FC starting spot". Reading Post. Retrieved 28 March 2013. ↑ "Sweden update from the boss". Reading F.C. Archived from the original on 14 March 2012. Retrieved 23 March 2013. ↑ Fordham, Jonny (8 August 2009). "Reading 0–0 Nottingham Forest". Reading Post. Retrieved 28 March 2013. ↑ "Games played by Hal Robson-Kanu in 2009–10". Soccerbase. Retrieved 3 April 2013. ↑ Fordham, Jonny (26 August 2010). "Defeat takes gloss from Robson-Kanu debut goal". Reading Post. Retrieved 3 April 2013. ↑ "Report: Kebe inspires ten-man Royals". Reading F.C. Retrieved 3 April 2013. 1 2 "Games played by Hal Robson-Kanu in 2010–11". Soccerbase. Retrieved 3 April 2013. ↑ "Reading 2–1 Derby". BBC Sport. Retrieved 3 April 2013. ↑ "Reading 2–4 Swansea". BBC Sport. Retrieved 3 April 2013. ↑ Fordham, Jonny (6 July 2011). "Robson-Kanu turns down rivals to stay at Reading F.C.". Reading Post. Retrieved 5 April 2013. ↑ Fordham, Jonny (4 August 2011). "Reading FC won't be up the creek without a Kanu if Long goes". Retrieved 31 May 2013. 1 2 "Games played by Hal Robson-Kanu in 2011–12". Soccerbase. Retrieved 5 April 2013. ↑ Fordham, Jonny (20 January 2013). "Hal Robson-Kanu happy to play anywhere for Reading FC". Reading Post. Retrieved 15 April 2013. ↑ "Reading boss Brian McDermott praises Robson-Kanu strike". BBC Sport. Retrieved 15 April 2013. ↑ "Reading 1–3 Tottenham Hotspur". BBC Sport. Retrieved 29 May 2013. ↑ "Reading 3–3 Fulham". BBC Sport. Retrieved 29 May 2013. ↑ "Reading 2–1 Everton". BBC Sport. Retrieved 29 May 2013. 1 2 "Games played by Hal Robson-Kanu in 2012–13". Soccerbase. Retrieved 29 May 2013. ↑ Walker-Roberts, James (6 May 2013). "Hal hails Reading FC boss Adkins for giving him a chance". Reading Chronicle. Retrieved 29 May 2013. ↑ Low, Jonathan (26 April 2013). "Leeds United look towards Le Fondre". Reading Post. Retrieved 29 May 2013. ↑ "Fulham 2–4 Reading". BBC Sport. Retrieved 29 May 2013. ↑ "Le Fondre wins season award". Reading F.C. Retrieved 20 May 2013. ↑ "Hal signs new contract". Reading F.C. Retrieved 12 July 2013. ↑ "Trio set to depart Royals ranks". readingfc.co.uk. Reading F.C. 9 May 2016. Retrieved 9 May 2016. ↑ "West Brom: Hal Robson-Kanu signs after leaving Wales training". BBC Sport. 31 August 2016. Retrieved 1 September 2016. ↑ "Hal Robson-Kanu: West Brom striker rejected 'significant' offers from abroad". BBC Sport. Retrieved 2016-09-06. ↑ "Hal Robson-Kanu profile". The FA. Retrieved 7 April 2013. ↑ Wathan, Chris (14 June 2016). "How these nine English-born footballers came to be Wales' Euro 2016 heroes". Wales Online. Retrieved 16 June 2016. ↑ Davie, Chris (6 July 2016). "How a training ground joke led to Robson-Kanu's Wales switch". Goal.com. Retrieved 6 July 2016. ↑ "Wales under 21 squad v Austria". 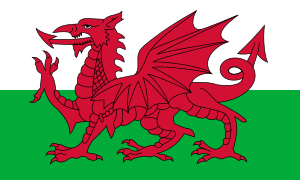 Football Association of Wales. 30 April 2010. Retrieved 1 May 2010. ↑ "Austria U21 1–0 Wales U21". BBC Sport. Retrieved 7 April 2013. ↑ "Croatia 2–0 Wales". BBC Sport. 23 May 2010. Retrieved 23 May 2010. ↑ "Hal Robson-Kanu profile". Football Association of Wales. Retrieved 7 April 2013. ↑ "Italy U21 1–0 Wales U21". BBC Sport. Retrieved 7 April 2013. 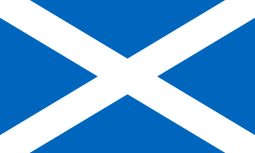 ↑ "Wales in wonder win in Scotland". Football Association of Wales. Retrieved 23 March 2013. ↑ Pritchard, Dafydd (13 October 2014). "Wales 2-1 Cyprus". BBC Sport. Retrieved 14 June 2016. ↑ "Wales 2–1 Slovakia". BBC Sport. 11 June 2016. Retrieved 11 June 2016. ↑ "Wales 3–1 Belgium". BBC Sport. 1 July 2016. Retrieved 2 July 2016. ↑ "Saúl, Neymar, Mario Gaspar and Messi up for Puskás Award". Diario AS. 21 November 2016. Retrieved 2 December 2016. ↑ "Hal Robson-Kanu career statistics". Soccerbase. Retrieved 23 March 2013. ↑ "Hal Robson-Kanu". National Football Teams. Retrieved 10 May 2016. Wikimedia Commons has media related to Hal Robson-Kanu. 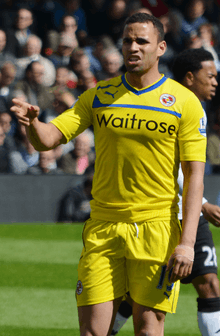 Hal Robson-Kanu profile at Reading F.C.